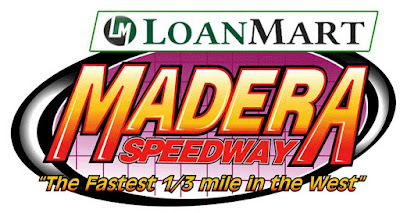 It's well known that the Madera County Fairgrounds has been the long time home of the Madera Speedway, the fastest one third mile paved oval in the west. However located behind the front stretch of the main speedway is a small, tightly wound, paved oval that measures 1/20th of a mile. This track is the home of the Good Times Quarter Midget Racing Association. Officially sanctioned by Region 11 of the Quarter Midget Racing of America, this program is specifically designed to develop the driving talent of boys and girls age five to 16. It's a program that works very well. Following a special event, held in Vallejo-CA last month, the association will be presenting their official 2016 season opener in Madera on March 4th and 5th when they present the Joe Galante Memorial. Friday night is an open practice session for all divisions that will run from 4 to 8pm. Saturday race day begins with practice at 930am followed by qualifying and main events for the association's seven racing classes. According to their website, "the purpose of this organization is to create and maintain a clean, safe, healthy sport which may be enjoyed by fathers, sons, mothers and daughters in relationship with better sportsmanship. (it's also) to acquaint the younger generation with the handling of mechanical devices (as well as) coordination, alertness and ability to handle motor driven vehicles. (Also we want) to impress upon the younger generation the idea of fairness, generosity and sense of responsibility without envy to others." The positive aspects of this program is overwhelming both on and off the track. Not only is this association developing future racing talent, they also appear to be appear to be developing future, responsible, young adults all within the element of family. By the way, the racing is also quite entertaining. For more information regarding the Good Times Quarter Midget Racing Association you can contact Publicity Director Kim Avedisian at 559-313-3982. 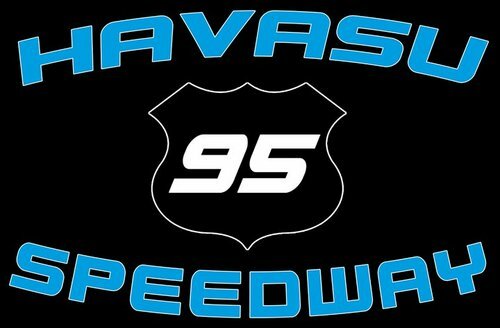 The big money Showdown has provided a huge boost for everyone interested in super late model racing on the west coast. While the region has a rich history of prestigious events, it has been several years since a race has managed to attract the type of talent that the Winter Showdown has. Events such as the Copper World Classic at Phoenix International Raceway, the Rose Classic at All-American Speedway and the spring and fall open competition races at Shasta Speedway attracted drivers from all over the country. Over the years, things changed. The Copper World Classic open race became a NASCAR Southwest Tour Series event and the event sadly came to a demise in the mid-00s. The Rose Classic drew top talent but it faded into the ether. The spring Nor-Cal 150 and fall Western 150 open comp races at Shasta Speedway went the way of the dodo. In a very short time, the Winter Showdown has become one of the top super late model events in the entire country. In addition to Pollard, several other drivers drove across the country to try to win the race including Cole Anderson, Dalton Sargeant, Preston Peltier, Steven Wallace and Todd Gilliland. 38 cars started the 250-lap event which had a total of 50 pre-entries. The Winter Showdown has proved to be a draw for the best super late model racers in the United States and the exciting thing is that the event has the potential to be bigger and better next year and well into the future. The popular Lucas Oil Modified Series joined the schedule on Saturday night and provided an exciting race. The possibility of adding another series to the Winter Showdown such as the Pacific Challenge Series or adding a big money Legends event would only add to the event's attraction for west coast race fans. It is almost certain that officials with the SRL and Kern County Raceway Park are planning on how to make the 2017 running of the Winter Showdown bigger and better. Race fans better make certain to not miss out next year.